Congratulations Tingting and Linda Ho! Please email us at info@itsybitsyme.biz with your name, contact number and mailing address by Wed, 24 Dec, to claim your prize. Thank you to those who had responded. Congratulations Kelly and Ashton’s mummy! Please email us at info@itsybitsyme.biz with your name, contact number and mailing address by Tues, 23 Dec, to claim your prize. 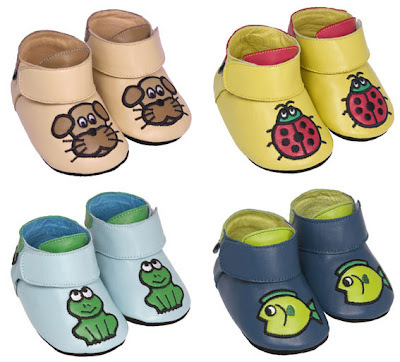 For today, we are giving away two pairs of Pedoodles First Step Collection. Constructed with soft, top-grade, genuine leather for the upper and exclusive PedFlex sandal soles (suede and rubber pads ensure traction for outdoor use), First Steps Collection is the perfect shoes for supple tiny feet. More details of the shoes HERE. 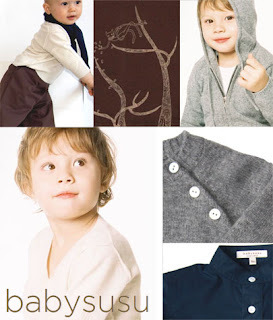 Sponsored by itsy bitsy ME! It’s the first day of Lollipop Days Christmas Giveaway. We have been anxiously waiting for this day. The Studio Loft, owned by photographer Maryann Koh, is a cosy photographic studio specialising in maternity, baby, kids and pet portraiture. Their style is simple yet always stunning, fun yet always captivating. Browse The Studio Loft’s impressive gallery HERE. 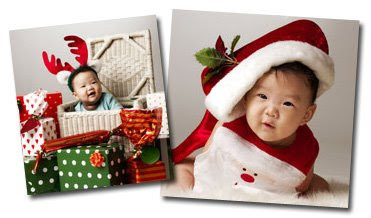 Today, The Studio Loft is offering you a Christmas themed studio shoot, limited to 1 setting for 1 kid or family*. You get 2 x edited shots of your choice in high resolution JPEG, free use of up to 2 Christmas props for 1 setting. * The Studio Loft’s other terms and conditions apply. How about that? A foldable baby bathtub which you can bring along to the pool! If you have tried bathing a 2yr old in the pool’s shower rooms, you will understand how difficult it is to bathe with one hand and depress the shower tap with the other hand. We gave up the last time we went to the pool and decided we should just wipe dry the kiddos and bathe them when we reached home. Now, with The Flexi Bath, designed by Danish company - A Real Cool World, bathing will be a breeze and fun too! The Flexi Bath folds easily and is stored flat. It comes with a temperature sensitive drain plug which changes from black to red when the bath water reaches 35 degrees centigrade. For safety, the bottom of the bath has a non-slip surface. The Flexi Bath is available in a myriad of colours, there’s sure to be one that your babe will love. Like this product? Tell us what you think. Stories are such integral part of childhood, they are not just bed-time entertainment that can help impart great morals to children. Stories help to foster the fundamentals in early childhood literacy. When children listen to stories, they gain crucial language skills. Monster Under the Bed (MUTB), a school of literacy & storytelling, provides fun learning experiences for children between the ages of 4 to 12 thru their carefully designed programmes. Storytelling is used as a core tool in all their programmes. Besides their usual classes, MUTB also offers workshops, holiday camps and occasional storytelling sessions at selected locations such as Page One Bookstore, Philatelic Museum, IKEA. Check HERE for their updated schedules. This diaper bag, Baby Travel, is way too cool~ a diaper bag that converts into a comfortable travel cot, without having to empty the bag first. Baby Travel consists of four large storage compartments that include one equipped with isothermal covers for baby bottles and meals. When Baby Travel is opened, the compartments are situated around the cot giving mum easy access to all her baby's essentials. 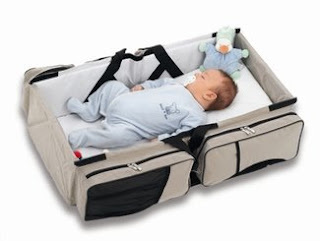 Use the travel cot for naps when on the road or as changing station without having to locate that obscure nursing room. 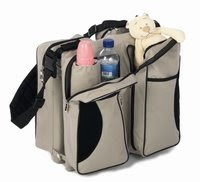 Get this ingenious diaper bag at Delta Baby, more information HERE. 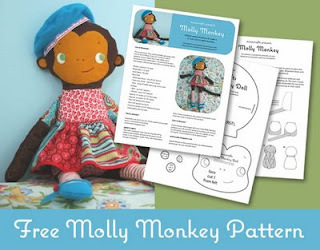 Get little fingers busy with two workshops to welcome our Moonfest. Enjoy hands-on experience of painting Chinese mask and learn about the colours used and their symbolism in Chinese mask. Every child loves a lantern. This workshop will have your kids squealing with delight when they learn how to create their own lanterns step-by-step using basic materials. More details on tix price/dates/time at SISTIC, HERE and HERE. 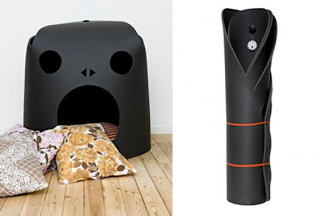 How about your baby’s very own private swimming pool that comes with temperature sensor? Forget about over crowded public pool, baby unfriendly changing room and the inconvenience of lugging all of baby’s stuff just for a mere 30mins dip. 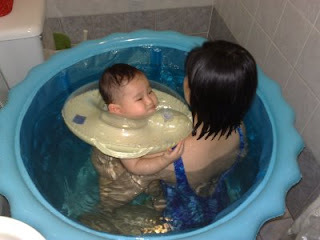 Now you can have a dip with baby anytime of the day right at the comfort of your own home. It’s doesn’t take up much space and can be deflated easily. 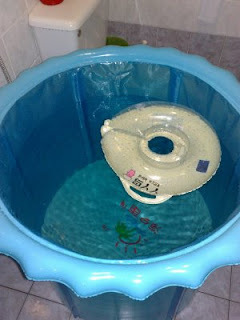 Baby Swimming Pool is suitable for babies 0-24 months old. Setting up the baby pool takes no hassel and can be done in no more than 5 mins. The pool set comes with a neck float, 80 height by 90 diameter (CM) pool, heat sensor attached on the pool (If water temperature rises above 38 degrees celcius, sensor will turn Red), water host (for draining water out). For more details and purchase, you can visit HERE. 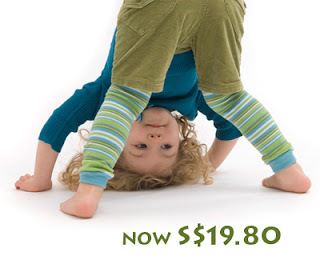 Get $5 discount on the listed price. Quote ‘lollipops’ when placing your order. Do remember to leave your comments here after you have tried out the pool. We came across these lovelies while browsing some online boutique’s catalogue. They were so pretty that we couldn't resist asking for permission to stock them in our boutique. The good news is.... YES. 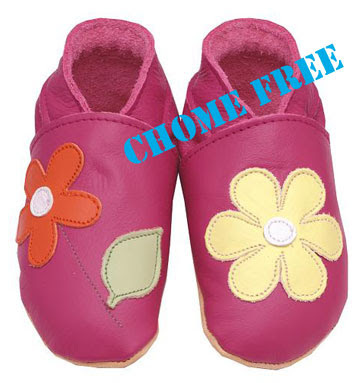 These pretty clippies are already on their way to our sunny shore. These clips are uniquely designed and handmade by Jennifer Mccabe residing in Hudson Valley, NY. 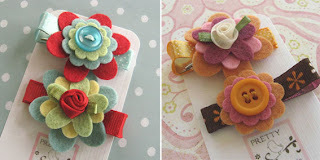 All buttons are stitched and all felt flowers are cut by the designer herself. Bookmark lollipops days for updates on their arrival. 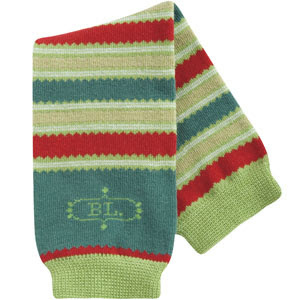 Searching for that unique gift for your best friend’s new baby? 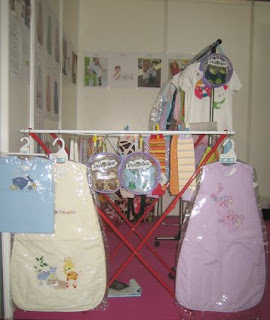 Check out Whims & Fancies yummilicious diaper cakes, lovingly ‘baked’ by two mamas. Forget about hastily-packed hampers or last-minute over the shelf gift. 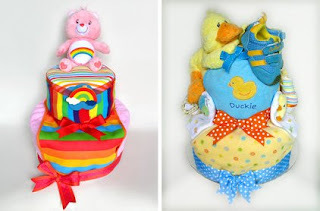 Whims & Fancies’ diaper cakes are unique, delicious-looking and made with heaps of love. Recipe? 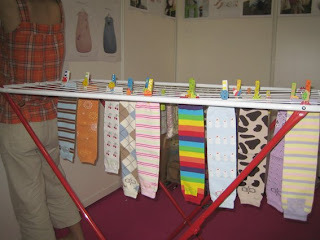 Lots of diapers, handful of baby items and cups of creative juice! So the next time you need to send a gift, ring the mamas. You order it, they bake it! If your child hasn’t had enough of giraffes and hippos yet, here’s another addition for the nursery. 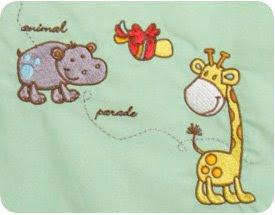 Animal Parade, the latest adorable style from The Dream Bag is now available in Singapore. 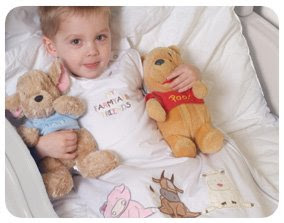 Comes in sizes 6/18m and 18/36m for both 0.5tog and 1.0tog, this adorable design of animal friends on mint green is perfect for little boys. For those who had been checking on the availability of this design, simply submit your order to info@itsybitsyme.biz. 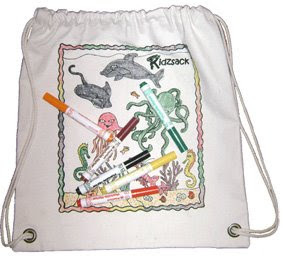 We also welcome bulk purchase of The Dream Bag, send us an email with subject title ‘Bulk Purchase’ and we’ll be glad to forward you more details. If you have a business dealing in children/nursery products and are interested to stock The Dream Bag, please drop us an email at trade@thedreambag.com.sg with subject title ‘Trade’. Our very first consumer show! Though we only got one third of the booth space, we had a really exciting 4day. The first day was rather slow and we feared that we may have to lug all our goods back at the end of the 4th day. But how wrong were we! Our cute BabyLegs was almost SOLD OUT on the 3rd day, we were already taking pre-orders on the 2nd day for the more popular styles which were mostly sold out by then. We didn't bring much stocks for The Dream Bag, just a few sample pieces as we weren't expecting such good response for our adorable sleeping bags too! So we had to offer pre-orders service as well for The Dream Bag. A number of our regulars came over to say ‘hi’. After all the emails & PMs, we had finally met.... for the first time. It was really nice to see everyone, we can now put a face to the nicks/email addresses. We also met some very nice first time customers (hopefully will also become our regulars) who’re very patience with us while we made out their pre-order list or when we gave out the wrong change. Overall, it was a very fun and fruitful first day-out for itsy bitsy ME! Above are a few snap shots of our humble booth space. We know it is not impressive BUT we promise we will make it better next year. Maryann from The Studio Loft for sharing the booth space with us and giving us tips on how to go about doing up our one-third space area. Hann Yang from WINKtoLEARN for being such a nice neighbor and his generosity in offering us his carrier bags for our goods when we FORGOT (yep, u read correctly) to bring our own, oh... and the drinks too. Dear old sis for helping out, I wouldn't be able to manage without her. My son for helping to distribute our printed DMs. 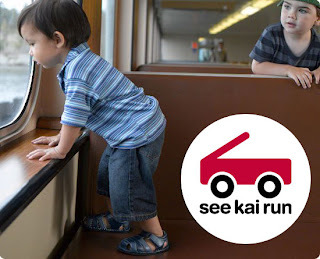 Do you offer a product or service that parents in Singapore must know about? Lollipop Days is most happy to accept product/website submissions for review, from both local and international merchants. Entries about your product/website on Lollipop Days are complimentary but we would appreciate if you are able to offer goodies in the form of discounts or giveaways to our readers. Please email us at info@itsybitsyme.biz with your contact and product information and we’ll let you know whether or not it's the right fit for our blog. For button ads, please email us with subject title ‘Button Ad’ for more details on rates. We also offer occasional co-op ad space in our local parenting magazines, drop us an email and we will get back to you on rates. Lollipop Days is a parenting resource blog that aims to bring parents and parents-to-be together by celebrating all that makes parenthood enjoyable..... full of sweetness, minus the tears. Entries in our blog include fabulous product finds and reviews, recipes, crafts, current events and personal experiences... If it makes us happy, we share. We love to support mother/women-run businesses. Simply drop us an email with details of your products/services and we’ll be most delighted to introduce them to our readers (subject to our review). Lollipop Days loves to hear from our readers. Leave us comments, ask questions, send tips, offer opinions and suggestions or simply drop us an email to say ‘hello’. New friends are always welcome.